This year Sherlock Holmes has been a regular fixture in my life. But now the BBC’s series has ended and I’ve seen Guy Ritchie’s latest Holmes offering, I miss him. I’m hankering for more of the consulting detective. I pretended it wasn’t me that was missing him and bought this Wordsworth Library Collection of The Complete Stories of Sherlock Holmes for my husband. 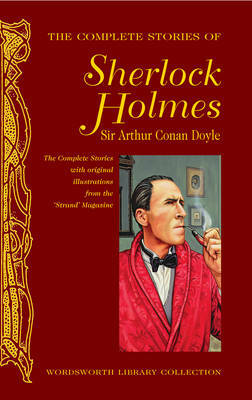 As the name suggests, it is Sir Arthur Conan Doyle’s stories in one book with Sidney Paget’s wonderful original illustrations. Nearly 1500 pages of Holmes and Watson should keep me going. 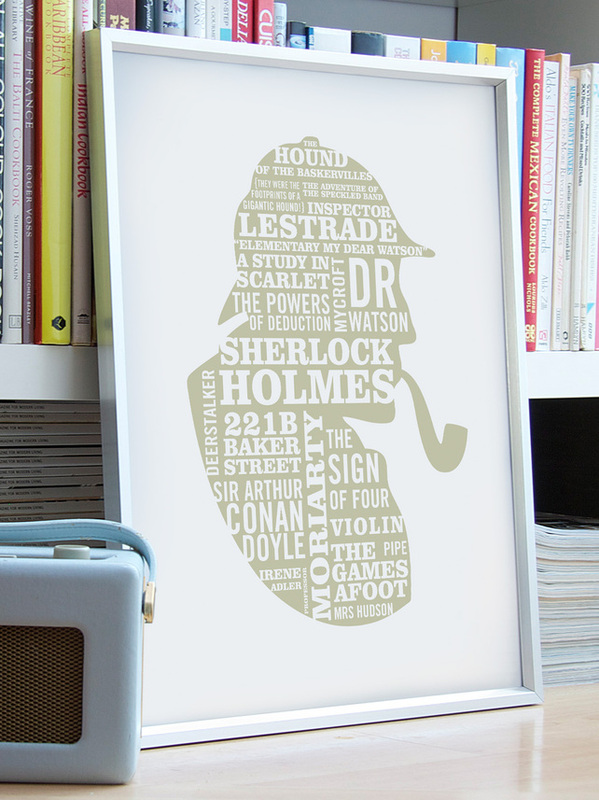 Also entitled Elementary is this typographic print by Typaprint on Folksy, a modern take on the classic Holmes silhouette. 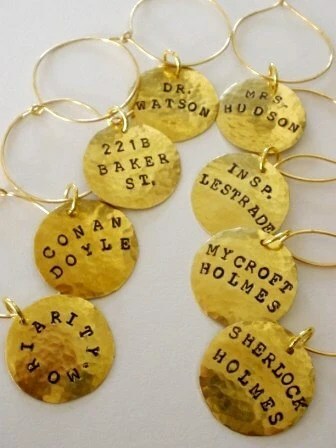 Maybe I could bring the stories to life and host a Sherlock Holmes night, I could assign characters with these wine glass charms. 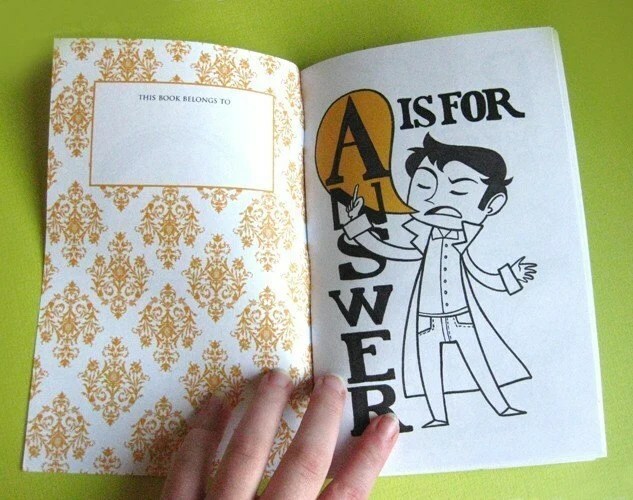 Although the person who gets 221b Baker Street might not have much to do… I’ll take that one. I can remember being terrified as a little girl at my Granny’s house watching The Hound of the Baskervilles on television, it certainly didn’t help my fear of dogs. Oh dear, this is bringing it all back to me. Which Sherlock Holmes story is your favourite? The story “The Dancing Men” really scared me for some reason when I read it – the mysterious code and the woman’s reaction to seeing the code really got to me. When the ending came round and it was all unravelled, I felt relieved! ITV3 does re-runs of the old series of Sherlock Holmes, (80s version? 70s? not sure), which is always a treat to watch.